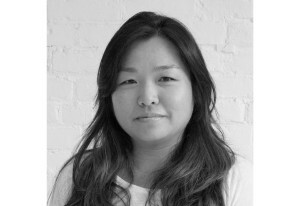 Soo Jin Yoo joined MERGE Architects in 2015. She brings experience in a variety of project types, including residential homes, workplace, and cultural and educational facilities. Many of these projects involved meeting the needs of multiple client agencies and the comprehensive conception and design of interior spaces, including acoustic properties, audio/visual integration, and digital information systems. Prior to her work at MERGE, Soo Jin was a Senior Designer at Charles Rose Architects as well as at Machado Silvetti, and a Project Manager at Kennedy & Violich Architechture . She holds a Master of Architecture degree from Harvard University’s Graduate School of Design and she received her Bachelor of Architecture degree and Bachelor of Arts in Fine Arts degree from Rice University. Soo Jin has taught design studios at Harvard’s Career Discovery Program and the Boston Architectural College, and is currently an Adjunct Professor at Wentworth Institute of Technology. She is a USGBC LEED Accredited Professional.